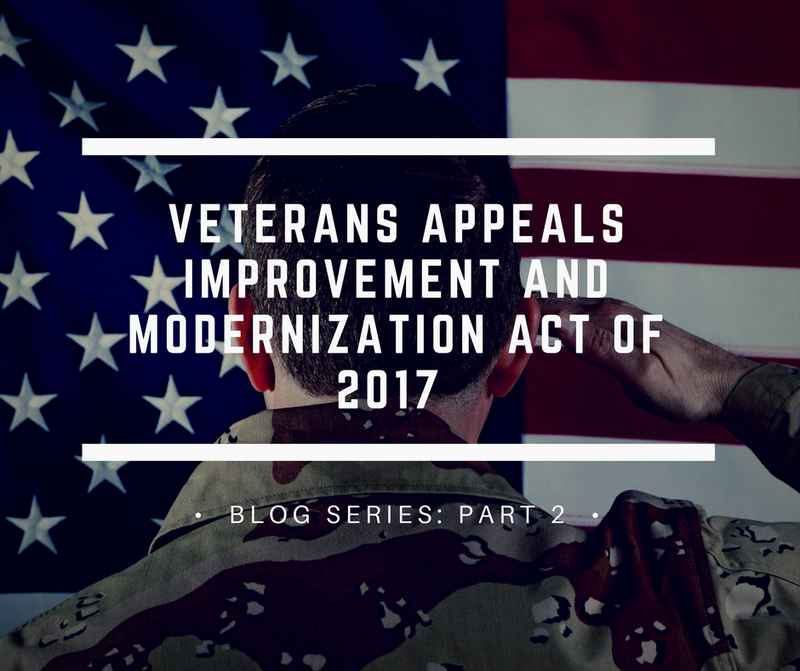 As mentioned, in Part 1 of this series of blog posts on the Veterans Appeals Improvement and Modernization Act of 2017, this blog will discuss two topics; Dockets at the Board of Veterans’ Appeals and Advancement on the Docket. Cases that request a hearing. We suspect that cases that request no hearing but the opportunity to submit additional evidence will be placed in the same docket as those requesting hearings. Cases that request no hearing and no opportunity to submit additional evidence. Example: If your claim for benefits has the possibility of affecting case law or other veteran’s claims. For other sufficient cause shown. Over the next few weeks Marcari, Russotto, Spencer & Balaban will continue to release a series of blogs explaining the Veterans Appeals Improvement and Modernization Act of 2017 and how it will affect veterans. Our Veterans Disability Benefits Attorneys believe it is important to keep veterans informed of their rights. If you need assistance appealing your Veterans Disability Benefits Claim, contact us online or give us a call 866-866-8387. Irritated, A claim I from 2012 has 3 issues to be ajudicated. For some strange reason one of the 3 were overlooked & never addressed. I was told I have to go thru the appeals process for this issue. Doesnt make sense if the VA makes a mistake that I have to wait what is really 5 years for resolution for the oversite on their end. Tony, Would you like for one of our Veterans Disability Benefits Paralegals to contact you regarding your claim? Just got the reply from my post. Would like to speak with someone. We can be reached at 866-866-8387. This is BAD for Veterans. If this Bill becomes law, it will allow the V A to cover up claims that were processed wrong. It will do away with requirements already on the books the V A is supposed to follow when processing claims. The pushing this Bill does not want to help Vets.